For the hundreth time; he [Poincaré] did not express particle motion in terms of a worldline, or define proper time as a worldline parameter. So inasmuch as spacetime geometry includes worldlines and proper time, Poincaré did not discover spacetime geometry (he left that to Minkowski, and later Poincaré chose a different type of space-time than his). Most obviously, Poincaré's views on favouring Galileo space-time is found in his "Espace et temps" lecture, reprinted in the collection Dernieres pensees (1913). There, as contained in much of his other work, Poincare considered that space and time are defined by the symmetry group of classical mechanics. 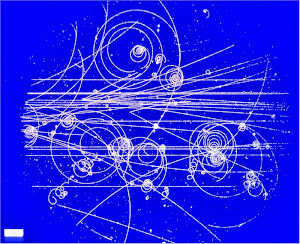 And... the symmetry group of classical mechanics is the Galilei group. Consequently, Poincare used the Galilei group to define space and time, he then interpreted the space and time coordinates entering the Lorentz transformation in terms of an immobile ether, assumed to be at rest with respect to absolute space, regarding more or less all of this as conventions (whereas Einstein denied, for example, Lorance covariance to be conventional). I don't know how anyone could be so mixed up about relativity. One the core concepts of relativity is the Lorentz group. Poincared discovered it in 1905, and named it. It is very commonly used today, with Poincare's terminology. It is the group of symmetries of spacetime, and is distinctly different from the Galileo group. The Lorentz group is for when all speeds are limited by the speed of light, as in relativity. The Galileo group has no such limit. LionAxe is trying to deny that Poincare had the Lorentz group, I guess. But everyone agrees that it came from Poincare's 1905 paper. Einstein did not have it. LionAxe also argues that Poincare had a privileged frame. But the Lorentz group proves that there is no privileged frame. Einstein had no such proof. Poincare's there never had any dependence on a privileged frame or aether. LionAxe's comments about geometry are also nonsense. The special relativity geometry came from Poincare and Einstein had no part in it. Some related claims of LionAxe are rebutted by Bjerknes. Poincare published his principle of relativity, and his theory that the Lorentz group provided symmetries making each frame the same as any other. Poincare's papers on this were widely circulated, well-known, and available to Einstein before he every wrote a word on the subject. Any statement that Poincare had a preferred inertial frame shows LionAxe's misunderstanding of the most basic aspects of relativity. 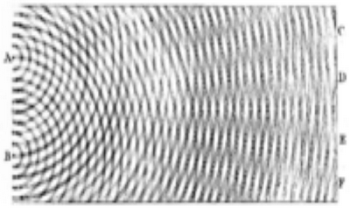 Einstein's 1905 paper failed to show that the frames were equivalent. He spent his whole life claiming that he never read or knew about Poincare's papers. The only reasonable conclusion is that Einstein tried to steal Poincare's ideas, Einstein failed to understand the core of relativity in Poincare's 1905 paper, and Einstein lied about it all his life. The Einstein scholars hate to admit this, but they cannot refute it. It is funny how some people will persist in the most ridiculous arguments to defend Einstein. There is no reasoning with him. He keeps saying that Poincare was wrong about things but he cannot find a single quote that was wrong. He keeps saying that Einstein's work was original, but he cannot point to one original aspect to his work. Update: Poincare certainly did introduce in 1905 the spacetime geometry as we know it today. I say this because (1) he combined space and time into a 4-dimensional spacetime, (2) he defined the metric, now known as the Minkowski metric, (3) he formulated the Lorentz group (and not any Galilean group) as the symmetries of spacetime, (4) his relativity was a spacetime theory that was applicable to electromagnetism as well as any other forces, and (5) he proved that the electromagnetism equations were covariant with respect to the spacetime geometry. These 5 concepts form the core of what modern textbooks teach as relativistic geometry. Poincare had them all in 1905, and Einstein had none of them. Einstein did not plagiarize this. He did not even understand it. The Einstein book just reviewed in the NY Times said, "But, of course, Einstein at first didn't completely understand the worldview that came from the special theory of relativity." There is no serious dispute about this. The historians sometimes credit the geometric worldview to Minkowski, but it is all in Poincare's 1905 paper, and Minkowski got it from Poincare. Update: I should probably mention that the above discussion is at a site called a hate site by a racist hate group called the SPLC. The SPLC complains that racial epithets are not always censored. The SPLC was recently in the news for its role in instigating violence against a pro-family organization. All of this is way off-topic for this blog. I was just discussing Einstein's contributions to relativity, and I do not agree with any censorship of that topic. You can keep issuing straw-men arguments if you like and deny the arguments I actually made, but you've not been able to address nor refute them on-point, whereas I've painstakingly showed you how, where and why you are not alltogether correct.